Bolivia is a South American country with friendly people and an unbelievable passion for soccer. Unfortunately, most Americans don't know much about it. Here's your chance to find out more about Santa Cruz, Bolivia, home of Tahuichi Soccer Academy. Where in the world can you find snow-capped mountains over four miles high, ancient Inca ruins, the Amazon rain forest, hundreds of species of exotic birds, Spanish cathedrals, and some of the planet's best soccer players and biggest soccer fans? In Bolivia, of course! Bolivia covers 424,000 square milesabout the size of Texas and California combined. Bolivia is located in the central part of South America. It shares borders with Brazil, Peru, Chile, Argentina, and Paraguay. It is a landlocked country stretching from the Andes Mountains in the west to the Amazon River in the east. 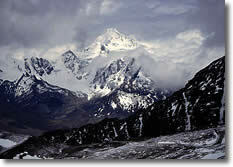 Most Bolivians live on the central plateau. Bolivia has about 8,500,000 inhabitants, most of whom are of Native American, European (Spanish), or mixed Native American and European ancestry. Ninety-five percent of the population is Roman Catholic. The Republic of Bolivia is a democracy. 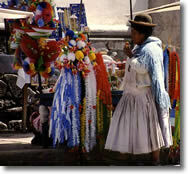 The administrative capital is La Paz, whose population of over 700,000 makes it the country's largest city. 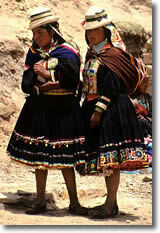 Spanish, Quechua, and Aymara are the main languages spoken in Bolivia (the latter two are Native American languages). All Tahuichi programs are taught in Spanish, and translators are provided for English speakers. Bolivia's second-largest city, with nearly 1,000,000 inhabitants, is in the center of the country. It is an attractive city filled with palm trees, beautiful colonial buildings, open markets and friendly people. Santa Cruz is in a hot, tropical, lowland area. The Tahuichi Way Program sessions are held in June, July, and August, which are actually winter months in the southern hemisphere! Winters in Santa Cruz are quite mild (50-75°F). The monetary unit is the boliviano. One dollar equals about 8 bolivianos; one boliviano equals about 12 cents. Your money will go a long way in Bolivia, because things are not very expensive there; a decent meal generally costs only $2-8. During the Tahuichi Way Program, it will be the same time in Bolivia and in the Eastern time zone of the U.S.
You need a valid passport to enter Bolivia. For a visa, please contact the nearest Bolivian consulate office or embassy for the latest requirements and information.